Hammer members are invited to experience two private dance performances inside the galleries of Leap Before You Look: Black Mountain College 1933-1957. Join us at 5:30 p.m. for a complimentary drink before the performances begin at 6 p.m.
RSVP is required, as capacity is limited. Please note that each member may bring up to one guest. To RSVP or purchase a membership, please call the Membership Department at 310-443-7050. 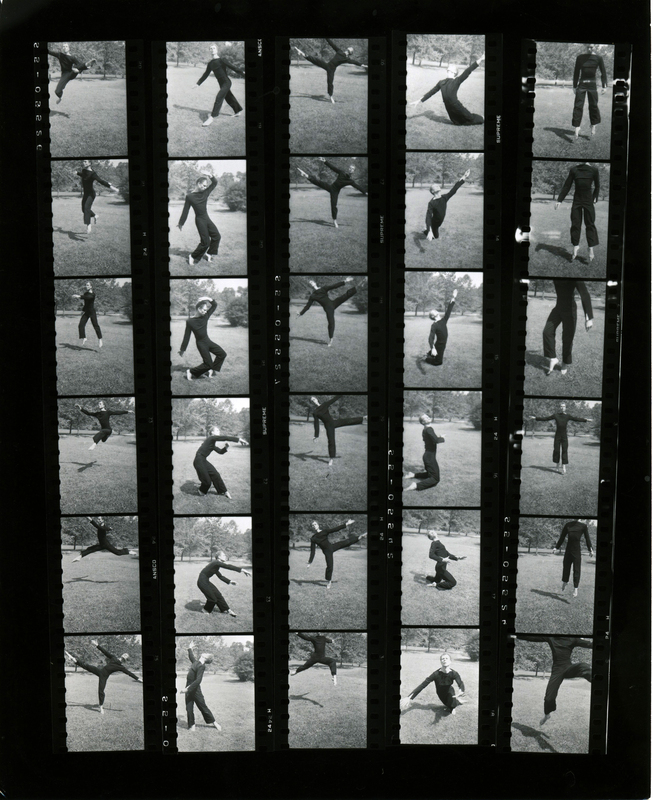 Hazel Larsen Archer, Contact sheet of Merce Cunningham dancing, n.d.